Many people still don’t know that the freezing temperatures are too cold for any pet or person to be outside. They mistakenly believe the dog will be ok in “his house”. 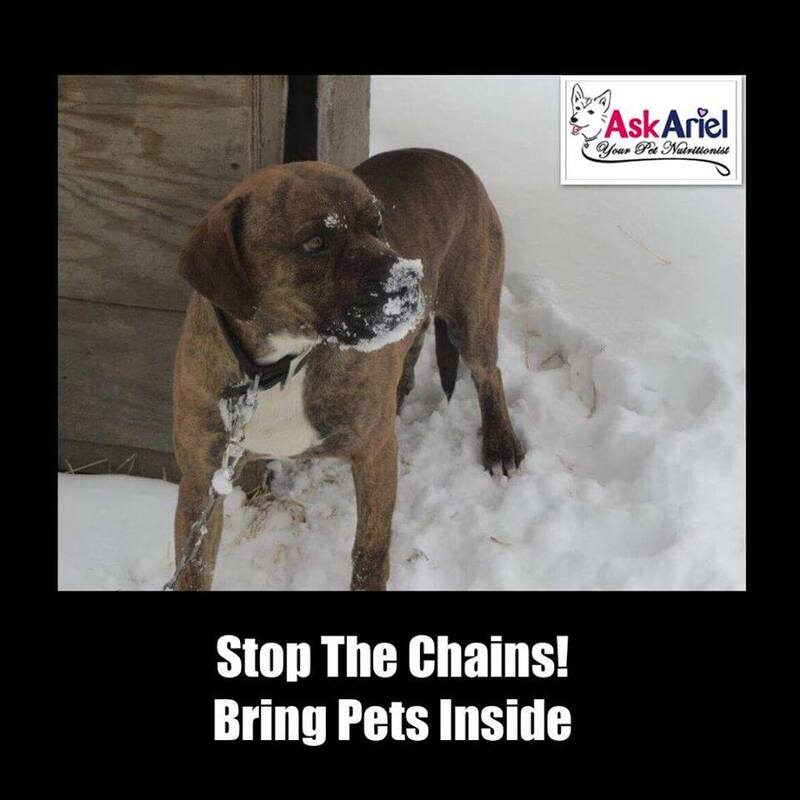 Worse still they keep them chained up and as the snow piles on some animals can’t even get access to their dog house. We need all eyes out and any animal that is outside in below freezing temperatures should be reported. If possible, offer to keep the pet in your garage or home until the winter storm passes.